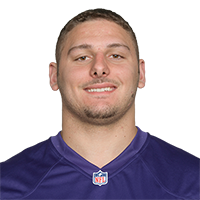 Published: Aug. 30, 2018 at 09:09 p.m.
Baltimore Ravens defensive lineman Patrick Ricard rips ball out of Washington Redskins running back Samaje Perine's hands and comes up with fumble. Published: Aug. 9, 2018 at 08:24 p.m.
Baltimore Ravens quarterback Joe Flacco throws a 6-yard touchdown pass to fullback Patrick Ricard. Published: Dec. 10, 2017 at 11:04 p.m. Published: Dec. 10, 2017 at 11:01 p.m.
Baltimore Ravens quarterback Joe Flacco throws to fullback Patrick Ricard for a 6-yard touchdown.